Berries & Cream Mint (mentha 'berries & cream') Westerfield hybrid mint. Atrractive rounded dark green leaves with a sweet fruity scent and flavor. 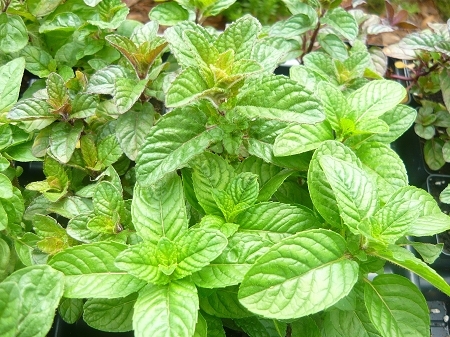 Unusual culinary mint variety. Perennial zones 5-9. Live plant in 3 inch container. I love herbs. I love to plant them & use them in cooking/drinks. I will say the quality of this plant is wonderful. It's happily growing and looks lush and healthy. That aside, the flavor isn't what I expected. Typically herbs taste or smell like their name. This mint isn't sweet or minty and doesn't smell or taste like berries and/or cream. It's nice to look at, but I'm reluctant to use it in a recipe. Love this plant and its smell so unique. Was very well packaged not damaged at all.